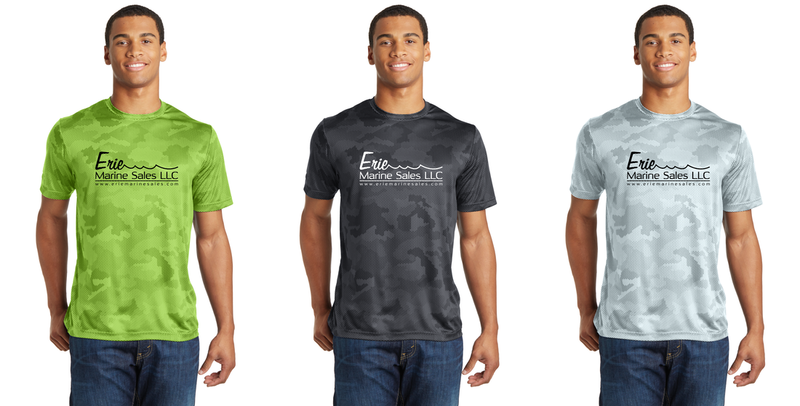 You've got a few choices when it comes to dri-fit tees. Long sleeve, short sleeve, patterned. We even have a line of UV tees now. If you'd like to see those choices, let me know. Pricing is for XS-XL sizing (2XL and up are a little more) and for a quantity of 36 pieces. The solids are available in TALL sizes as well. ​Prices include fulfillment throughout the 2019 season for same price (minimum 6 pieces per order). That means, if you run out of larges in July, we'll print you some more and charge you the same price as the initial quantity priced order. 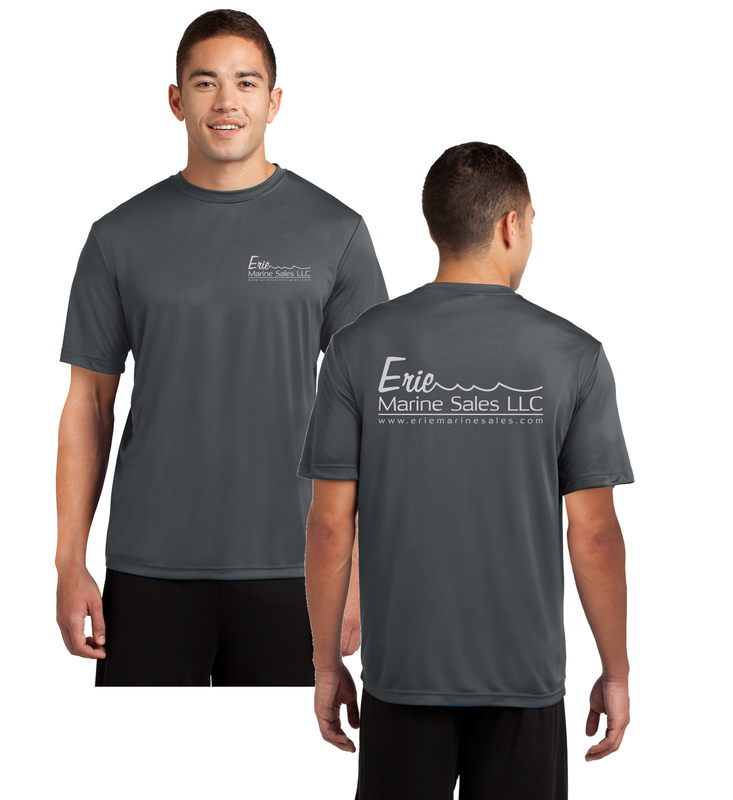 This is the basic, no frills dri-fit tee. 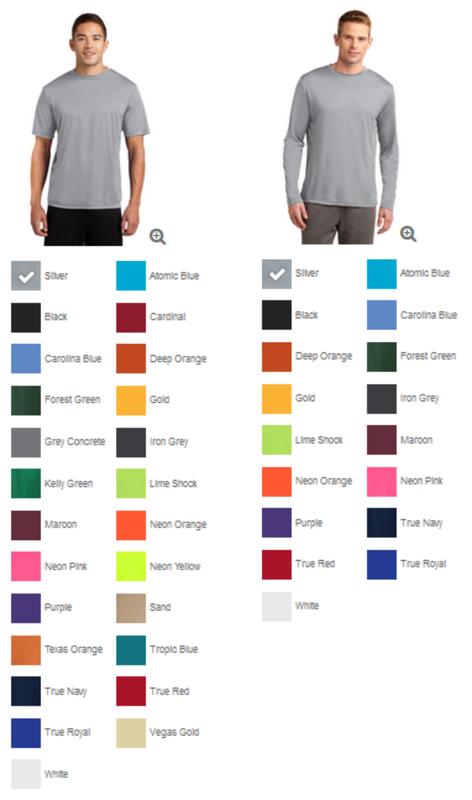 Available in both short and long sleeve in these colors respectively. Also available in TALL and LADIES styles. *This is my favorite combo...grey ink is not bright and brash as white but still contrasts. Looks great on black shirts too. Light colors are more comfortable in the sun. 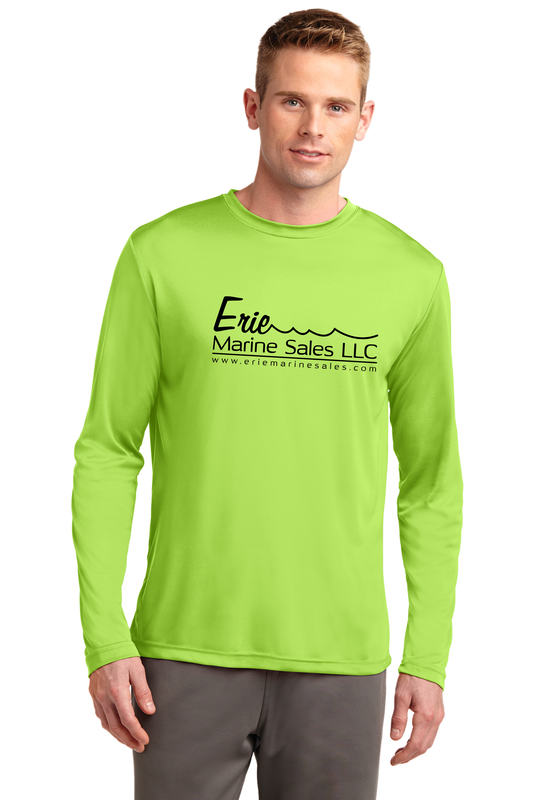 The short sleeve shirt is also available in the color SAND.